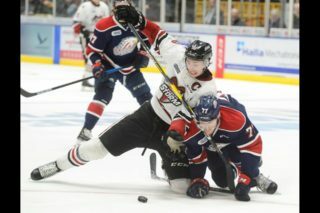 The Guelph Storm continue to show signs that they could well be in the thick of things this season in the Ontario Hockey League. They knocked off the Sault Ste. Marie Greyhounds in a stunning comeback from 4-1 down with about 11 minutes left in the third period Friday night to win 5-4 in overtime. Sunday they trounced North Bay 6-2 with netminder Anthony Popovich making 34 of 36 saves. But in between they had a real stinker. They were tied in Barrie early in the third period but then the Colts reeled off five goals in just 4:24 to win going away, 8-2. 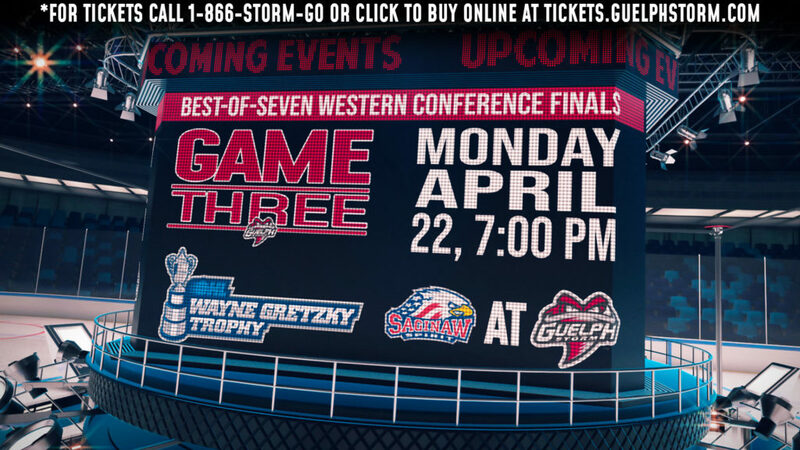 The two wins leave Guelph (13-6-3-3) in third place in the Western Conference and tied for fourth overall in the league. There are still holes in their line-up and consistency is something they are still working on but the good efforts are starting to outweigh the bad ones. 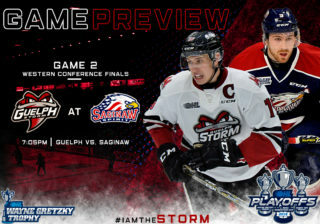 While you could argue the Storm had no business winning their game against the Soo Friday night, Storm forward Isaac Ratcliffe took a more positive view. “It wasn’t our best game but I think we played one of the best ten minutes we’ve played all year,” said Storm captain Isaac Ratcliffe. Popovich held his team in the game and was strong again on Sunday. Popovich had been fairly inconsistent in his play early in the season but now seems to be rounding into form. “That’s (five) games in a row for him where he has performed at a very high level and it’s great to see,” added coach George Burnett. The Storm had also struggled recently in overtime and the shootout and worked on it practice last week. Ratcliffe’s OT winner against the Soo was a welcome sight. So far the team has probably performed up to expectations but it has to be better night in and night out if they are to play at the level of the London Knights or Ottawa 67s. They are the top teams in the league so far. From the Land of Oz …. Ratcliffe scored a goal in each of the three games this weekend. 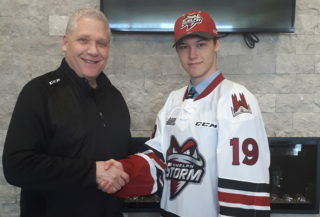 Liam Hawel also had three goals for the Storm … The Guelph Storm business office in the Old Quebec Street mall was broken into last Thursday night. The thieves weren’t the brightest bulbs. One was seen the next day in the mall and arrested. The other decided to come and watch the Storm game Friday night. He was arrested before the end of the first period…This weekend the Storm hosts Oshawa Friday night and Kitchener Sunday afternoon at 2.